Description We estimate this scroll was painted over 40 years ago. 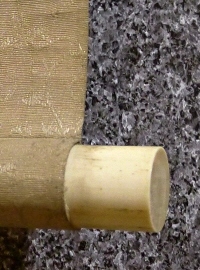 There are some folds and faint spots. 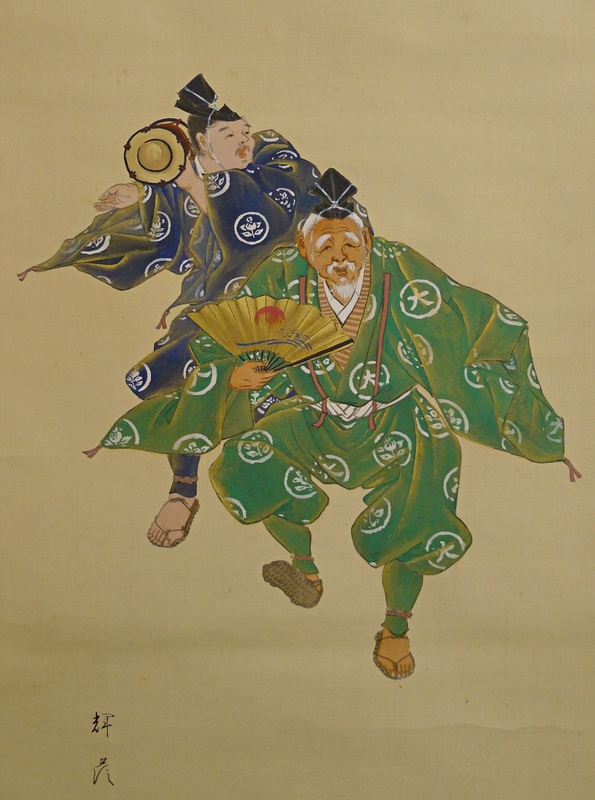 Two players of Noh Japanese traditional performing art are painted with vivacity. 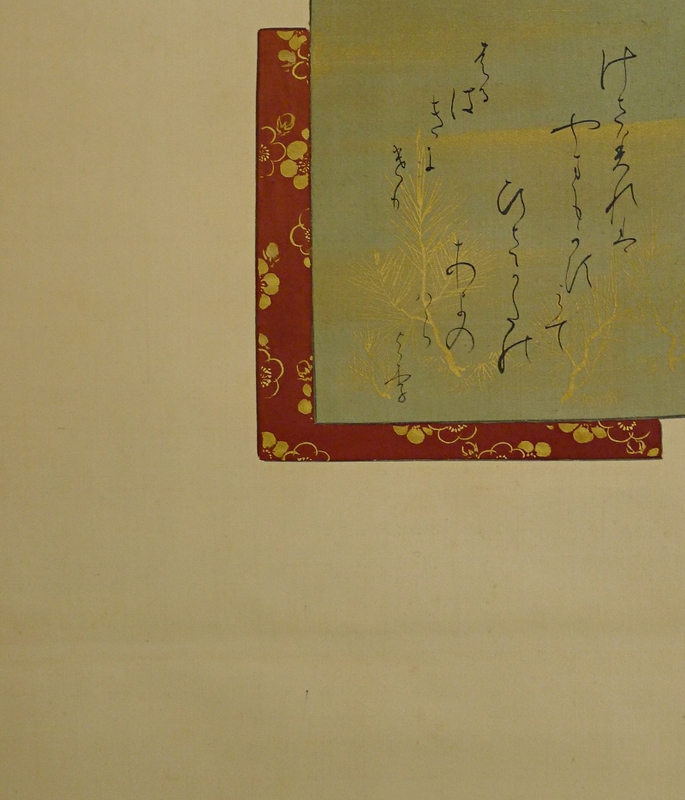 A Waka poem written on Origami papers is also expressed at the top.